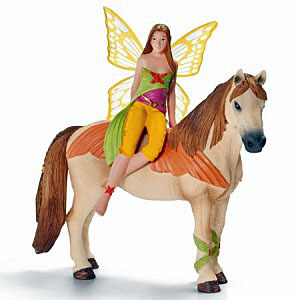 Schleich 70467 - Butterflies love Sanjeela. They accompany her everywhere. Sanjeela often rides on her favourite horse across Bayala’s meadows. The butterflies are glad to see her, which is why the colourful elf is soon surrounded by a myriad of butterflies. Sanjeela often flies in the warm light of the evening sun, accompanied by all the butterflies.